How trustworthy are Sofirn batteries? I’ve been looking to expand my stockpile of rechargeable batteries, but most of the popularly-recommended options (e.g. Illumn) cost a painful amount to ship to my country. I noticed that Sofirn has quite a presence in this community, and that they’ve also got an assortment of batteries for sale in their AliExpress store. The ones I’m most interested in are their protected 2800 mAh 18650 and their protected 3400 mAh 18650. Some Sofirn flashlights come with the 2800 variant, and although none of the flashlight reviews I read thoroughly tested the battery, the capacity was found to be accurate and the weight was not suspiciously low. However, I haven’t seen much written on the 3400 variant, which appears to be a newer offering based on the number of orders on AliExpress. Has anyone had any experience with their 18650 batteries, putting them through prolonged use or testing? The only reviews I’ve been able to find are for other types such as their AA, AAA, or 14500 batteries. I’ve been really happy with my Sofirn lights and haven’t had any issues with the supplied 2800 and 3000 mAh batteries I received with them. I’m not a battery reviewer/tester, but they seem to function as rated. Is buying cells made by the Big 5: Sony, Panasonic, Sanyo, LG and Samsung, such a financial hardship for you, wherever you live, that you’d take some no name brand over them? Things can’t be that bad, can they? To confess, I just bought my first TrustFire cells from FastTech, but they’re the newish red/gold 16340s that Henrik has tested on his site, so I felt better going in. Generally two issues—the first being a safety issue and the second just being one of longevity. Most anything will work for a few dozen cycles. I suppose it’s just a matter of scale – if I was ordering a good number of $10 cells from Illumn for example, then shipping costs starting around $20 wouldn’t be such a bitter pill to swallow. It’s just a bit tougher when I’m only looking for a couple/few batteries; I was hoping there might be an acceptable alternative I could try out so I don’t overspend on this hobby from the get-go. I suppose it’s just a matter of scale – if I was ordering a good number of $10 cells from Illumn for example, then shipping costs starting around $20 wouldn’t be such a bitter pill to swallow. It’s just a bit tougher when I’m only looking for a couple/few batteries; I was hoping there might be an acceptable alternative I could try out so I don’t overspend on this hobby from the get-go. I guess it is what it is and only you can assign a ‘value’ to what you’re buying? I just bought a Victorinox Ranger SAK off of Ebay and the guy wanted $6+ shipping, which was fine. He’s also been selling the bigger SwissChamp for more money, but a couple of dollars less for shipping, even though it’s a heavier item—both can fit in a small packet, or flat rate box. My only experience with sofirn cells are one supplied with their lights and they have performed well. JasonWW tested the 21700 Sofirn in the C8F and it performs well. I think I recall someone said the Sofirn 3000mah or 2800mah battery might be a rewrapped Samsung/Sony. 14500 discharged 855mAh on Li500, happy with that. Same comments as you’ve already seen – I’ve received a few Sofirn batteries when buying a “flashlight and battery” package and those batteries perform as expected and test to capacity in my Lii-500 charger. I have about 10+ Trustfire flame batteries still working, from year 2010/2011. I use them for my lasers, XP-Gs and XM-Ls. They need to be legit Trustfure cells though. 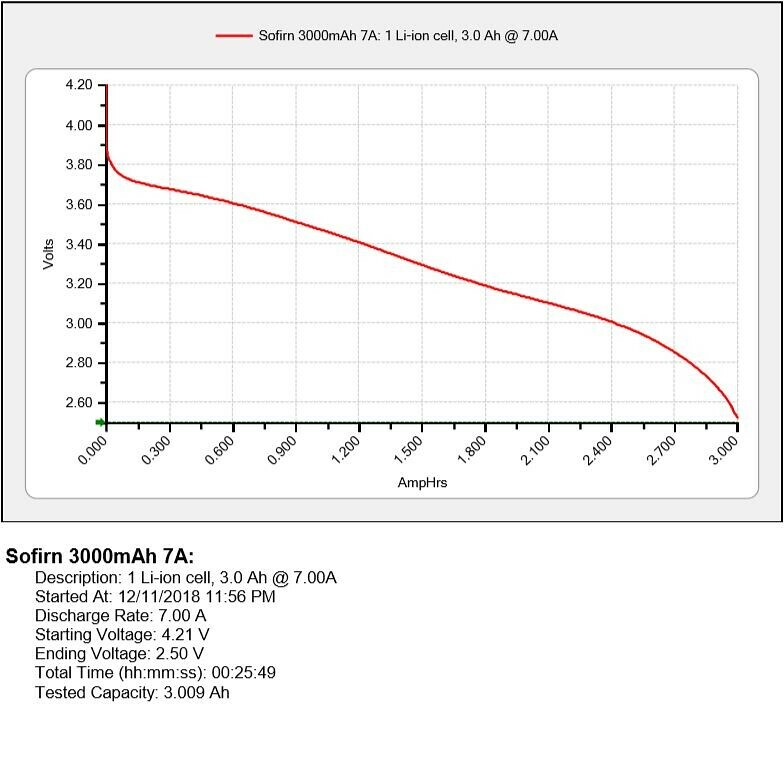 For the other Sofirn 3000mAh 18650 (also bought as flashlight+battery kit), I previously tested their Sofirn 3000mAh (on the label) which turns out to be around 2800+ mAh only (despite the 3000mAh label). The IR measurement is definitely not as good as Samsung 30Q or Sony VTC6. On a more recent Sofirn 3000mAh 18650 (also bundled with Sofirn flashlight battery kit), I tested the battery to now be 3000mAh. IR is still not the same as 30Q or VTC6. The blue-black Sofirn 2800mAh 18650 (also bundled with Sofirn flashlight battery kit), these are correct at around 2800mAh, and they are protected 18650s (trip at around 6 amps). I’ve also tried the Sofirn 900mAh 14500 (bundled with Sofirn flashlight), ordered in 2 or more separate occasions, they register around 850mAh capacity. The earlier Sofirn 14500s are shorter button-tops, while the more recent Sofirn 14500 are about as tall as other brands button-top 14500s (unprotected). I just got the new SP33 which came with a 5500mah 26650 battery. I can’t find out much about the specs of this battery. Has anyone tested it or can point me in the right direction? These 18650’s tested to be very good cells up to 7A continuous discharge current. What tester did you get? I used the Lii-500 until learning it wasn’t testing properly on every cell. It gives a rough approximation. I recently received the West Mountain Radio – CBA IV and it’s excellent. This also what I’ve heard. They are also not high drain cells. Just generic middle of the road cells. Yes, their 4000mah 21700 is really top notch and high drain. I don’t know much about their 18650 cells, but they are definitely not rewrapped name brand units. Their black 3000mah 18650 seems to be really good. It’s a high drain cell “close” to a Samsung 30Q, but not one. DB Custom got really high output and amps from it. So I only know about their black 3000mah, black 4000mah and black 26650. All the other versions I don’t know anything about except they are low cost. Illumn is mainly a USA seller. What country are you in? Have you checked with NKON? Do Banggood or Gearbest ship to your country? As you can see the Sofirn performs almost equal to the GA.
That is more voltage sag than I expected. So not quite as good as a 30Q. I wonder if it is still the same battery that DB Custom tested almost a year ago. I have 4 of the Sofirn 21700’s and although they seem to be decent cells, they under perform. Fully charged, I put one in my FF E07 and turbo mode didn’t seem that great. Put a Samsung 30Q in, and turbo was noticeably brighter. In other words, they can’t handle the amp draw. Tried with all 4 of the 21700’s, same result. They act like a 10A cell. Ordered some Samsung 30T’s for the E07 instead. In my next order of Sofirn lights I’ll get some 21700’s and 26650’s for testing and upload the graphs. That should help those who are on the fence about getting them bundled with their lights. I use the 14500 batteries of Sofirn and never had a problem. Capacity is as advertised (900mAh, measured several times), but I guess they are not High-drain cells (at least not as EFEST)! Also note that they are shorter than other 14500s! Have you got a link to your thread, I can’t find it. My bad, I misread. That is a great idea!! Keep us posted if you do start your own thread. Some actual numbers might help. 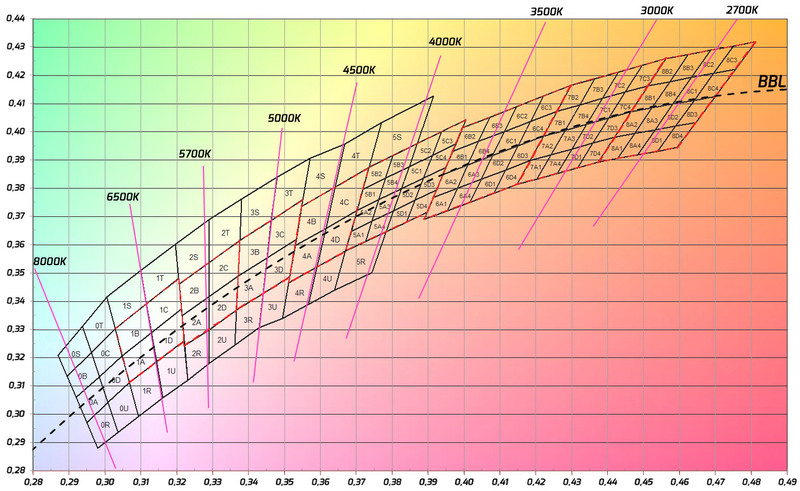 I just don’t see how it’s possible a 30Q could actually outperform the Sofirn 21700. What is the amperage range of the E07? Also, what is a “10A cell”? They are good to me..tested like 4 of the 3000mAh ones, and they ALL came to 3,000mAh or a tad more. Capacity is just one aspect of the battery. The black 18650 3000mah have always been accurate for capacity. It seems to be a bit lacking as far as internal resistance and voltage sag, though. It looks like the 30Q definitely beats it in those regards. Back when DB tested them the performance was so close to a 30Q he thought that’s what they were, just rewrapped. Their amp draw and output matched the 30Q exactly. The one tested above shows a bit below the 30Q at least as far as a 5A load is concerned. I’m wondering if Sofirn switched to a different battery or a different chemical mix in the last 6 months or so. I found one interesting thing when charging the 21700. If I use a Samsung Quick Charger (micro USB), then the cell charges to more than 4.5v!!! I tried it with the supplied kit charger and also with an Xstar MC1 ANT. However if I use a non quick charge (slower) microusb charger, then the cell charges correctly to 4.2v. I hope thee is no major damage done to my battery with one off excess charge! Whaaaat? The chargers are supposed to be designed to terminate at 4.2 volts. I’m not sure how a battery can cause an overcharge. Undercharge, yeah, but not overcharge. Sounds freaky. Yes, even I was a bit puzzled by that. I dont think its an issue with the battery, probably these MC1 types chargers are not smart enough and the Samsung Quick Charge Adapter messes up their calculations and it overcharges the battery. I could replicate it but I dont want to do that as I am afraid that it’ll damage the cell.